France's PSA Group will return to North America with the same brand that it pulled out of the region 28 years ago: Peugeot. 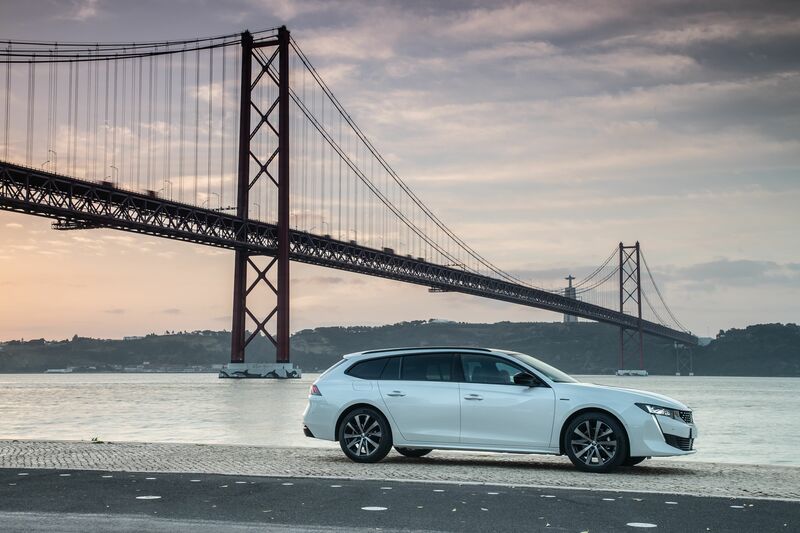 CEO Carlos Tavares pointed to Peugeot’s "strong growth" and profitability in revealing the selection Tuesday in Paris. Since announcing its planned return in 2016, PSA has maintained that any of its brands – including Citroen, DS and, more recently, Opel – might lead the comeback to the U.S. and Canada. The choice marks a big step on PSA's methodical path toward selling vehicles in a market that it abandoned in 1991. Last fall, Tavares indicated that decisions on a distribution model and where its U.S.-bound vehicles will be built were also likely by mid-year. The automaker maintains that it’s in no hurry. Its only stated time frame is to have vehicles for sale in the U.S. by 2026. In the meantime, PSA has been focusing on car-sharing and other mobility initiatives. Those efforts have been designed to help PSA understand U.S. consumers while expanding the 130-year-old automaker’s expertise in forms of transportation beyond the privately owned car. Peugeot exited the U.S. market in 1991, driven out by a recession, slumping sales and the rising costs of U.S. regulations. The company had sold just 4,292 cars in 1990, nearly 80 percent below 1984 levels. Last year, PSA said it had narrowed to 15 states and four Canadian provinces its top picks as possible points of entry for sales. Those states have customers who are willing to buy imports and represent 62 percent of vehicle sales nationwide, the company said. The automaker has also been in the process of homologating vehicles for the U.S. market, a multi-year process. Not that I have any interest in their current lineup, but hey, more competition can't be bad right? Big courage going into US market. Perhaps they want to manufacture here for export to France They better have great product and price as Fiat/Alfa seem to be failing. I used to lust over the old 206 gti. I remember seeing them all over when I went to London back in 2000. I really like the design on the new 208, and assuming there would be a higher hp GTI version at some point, that would be a cool car. 308 GTI would be a good competitor to the VW GTI, since there's really no competition in the US for the VW GTI any more. We got all of a Fighting Lion revival that we could stand with the horrific Prince motor in the R56 MINIs. Kindly stay home.. and send Citroen over to play instead. Both Peugeot and Citroën still use the Prince-based 1.6T engine in their cars though. And, as far as I know, it's working OK.
Not sure what the deal was with the R56 in the Mini, but Peugeot has gone as far as 270hp with that engine in the 308 GTI and RCZ. In fact, that 1.6L turbo engine is the ONLY higher powered gas engine in the entire Groupe PSA; there's nothing else except the smaller 1.2T 3-pot engine. Both Peugeot and Citroën still use the Prince-based 1.6T engine in their cars though. I loved the feel and response of the little engine in my R56.. but they're well known for bad carbon build-up, drinking oil, and lunching their timing chains. Lots of character.. just too much some days. [...]I loved the feel and response of the little engine in my R56.. but they're well known for bad carbon build-up, drinking oil, and lunching their timing chains. Lots of character.. just too much some days. Yeah, I hear you Hopefully, Peugeot has some of these things under control by now. Alfa - beautiful to look at, and you really appreciate it on those Saturday drives, because Sunday through Friday it's in the shop. Hyundai - you've seen our car before, because we looked at everyone else's design and changed them the legally required amount. Infiniti - we make luxury cars too... well not really, but we pretend to. Kia - like hyundai, but different as much as is legally required. Lexus - A reliable luxury car you probably don't want to buy. Peugeot - The best French manufacturer there is; NOUS METTONS LA BARRE! I always loved their Cup Coupes. Carbon deposit issues are here to stay. Even mfr's that had dual port in europe are starting to ditch them (EA888 in the R/GTI no longer has port injection, just direct). 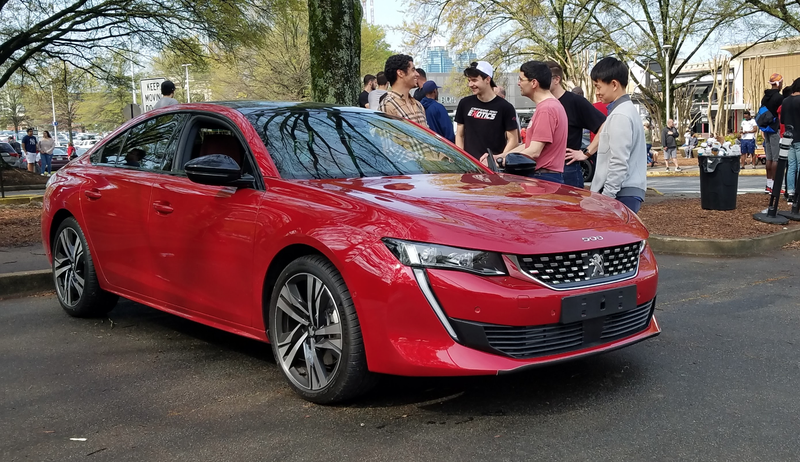 Jalopnik reader Rahul was at an Atlanta-area “Caffeine & Octane” event, one of the many cars and coffee gatherings that happen all across our glorious nation, and was surprised to find there a brand-new Peugeot 508GT. As you know, no Peugeots have been sold in America since 1991. What was this car doing there, and how did it get there? If they want to return, they should bring the hot hatches/WRC homologation specials as well. What is the redeeming quality of the brand? Crippling depreciation? Terrible reliability? Are they at least dirt cheap? I dont get it. I grew up around quite a few Pugs; specifically, 205, 306, 307, 207 and, more recently, a 2008 with a fun 128-hp 1.2T 3-pot engine. These are cars I drove extensively; mostly on hilly and twisty roads all over the small caribbean island I grew up on. So, I'm a little biased; but, I'd spend my money on a Peugeot with very little hesitation. First let's wait and see when PSA is going to officially enter the fray. No more sedans, please. Bring more 308 GTi. I really liked seeing all of the peugeot hatchbacks when I visited london as a kid. Really wanted one. Probably what planted the seed for my hatchback love. We do not need more FWD hatchbacks. And we need more fwd sedans? I forgot, sedans = performance. They don't have any anymore. The C3 roadcar is a turd. The old DS3 would have been nice, but it's time has passed now. I don't see how having more choices is a bad thing. Having more choices doesn’t mean it will sell well. There are current cars in those segments that already sell well here and I don’t see Peugeot selling well.